German chemical company BASF and Chinese chemical manufacturer Markor plan to establish two joint ventures for the production of butanediol (BDO) and polytetrahydrofuran (PolyTHF) in Korla, Xinjiang, China. PolyTHF is primarily used to make elastic spandex fibers for a large variety of textiles, including underwear, outerwear, sportswear and swimsuits. Meanwhile, BDO is used in the manufacturing of technical plastics, polyurethanes, solvents, electronic chemicals and elastic fibres. According to the joint news release of BASF and Markor, the joint ventures intend to build a plant for the production of BDO and one for PolyTHF which are planned to go on stream in 2015. The annual capacities of the plants located in Korla will be 100,000 tons of BDO and 50,000 tons of PolyTHF. “Based on our globally leading PolyTHF technology and the strong local presence of Markor in China, we are aiming to expand our local production capacity in order to support our customers in the Chinese market with high quality products,” said Dr. Guido Voit, Senior Vice President, responsible for the region Asia Pacific within BASF’s Intermediates division. Currently, BASF produces PolyTHF with an annual capacity of 250,000 tons at its sites in Geismar, Louisiana, US; Ludwigshafen, Germany; Ulsan, Korea and Shanghai, Caojing, China. BASF produces BDO with an annual capacity of 535,000 tons at its sites in Geismar; Ludwigshafen; Caojing; Chiba, Japan and Kuantan, Malaysia. Markor produces BDO with an annual capacity of 160,000 tons and is the largest producer of BDO in China. 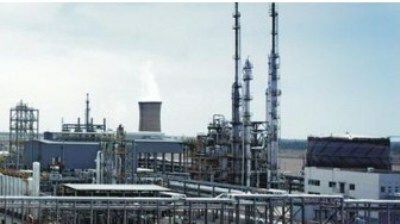 To date, the company has invested RMB 5 billion (about 600 million euro) in Markor Chemical Park. He Xiaorong, Vice President of Markor Group noted that Markor is glad to partner with BASF, who provides its state-of-the-art PolyTHF technology to the joint ventures. The joint venture agreements have already been signed but are subject to further closing conditions and regulatory approvals.